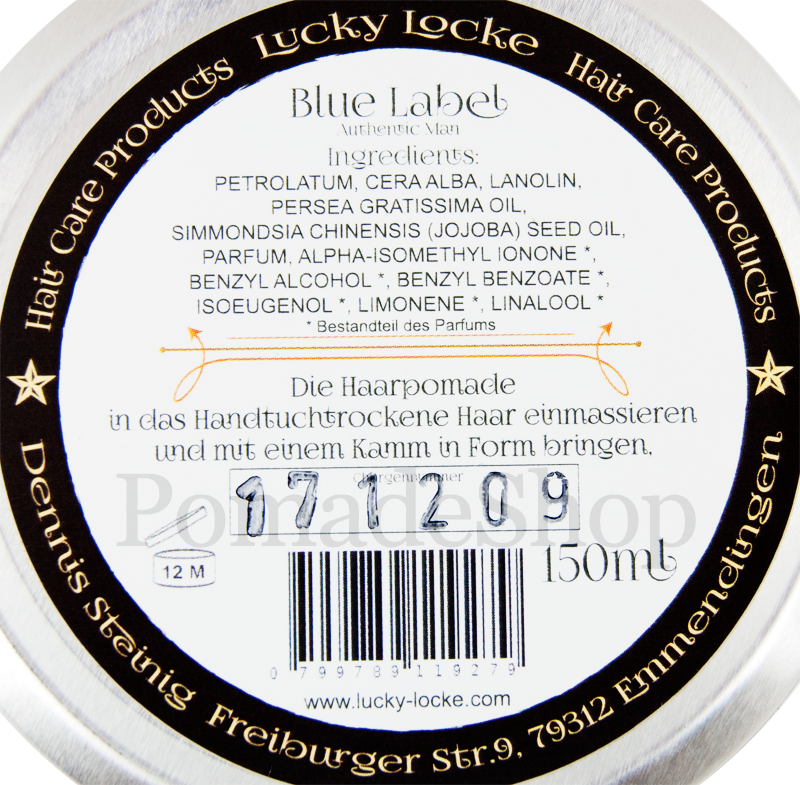 Product information "Lucky Locke Authentic Man Blue Label Pomade - Light"
The pomade "Lucky Locke Blue Label" (“Locke” means curl in German) in the variation “Authentic Man” is a light weight pomade for high shine hairstyles with a good light hold. The pomade excites with traditional ingredients such as petrolatum, beeswax and lanolin, but also refined care oils such as jojoba oil and avocado oil. The scent is smoky-sweet after carnation, cinnamon, wood and petrol. 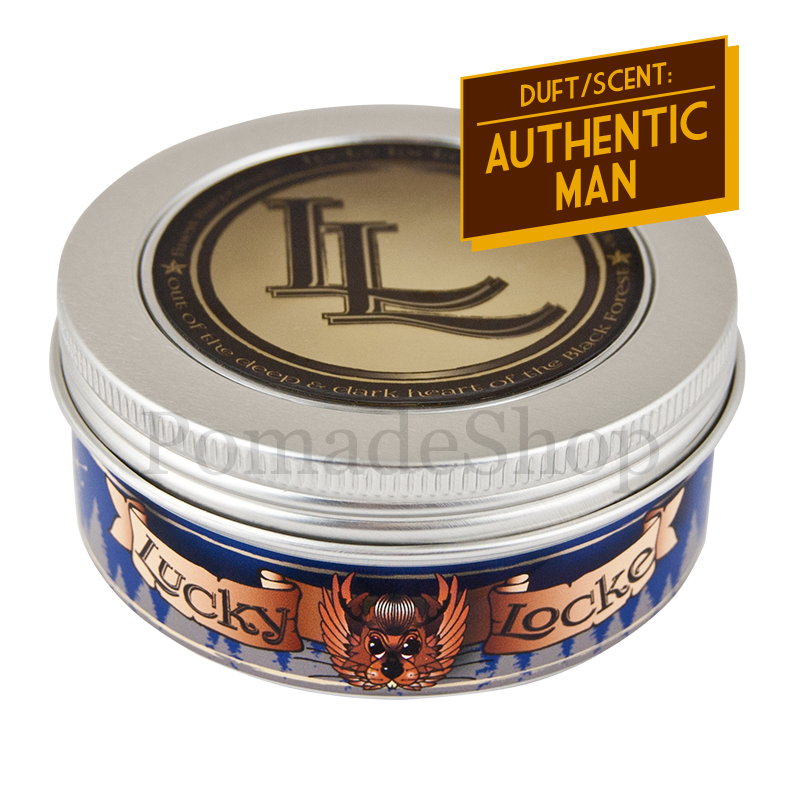 The brand "Lucky Locke" offers “Authentic Man” pomades in three grades. All in fairly large 5.3 fl. oz (150 ml cans, with very similar design and same ingredients, but in different weighting. The pomades are Blue (Light Pomade), Green (Medium Pomade) and Red (Medium-Strong Pomade). The pomades are naturally handmade in the Black Forest, Germany. Take one or two fingers full of pomade, rub the pomade between the palms and go through the hair. Then comb the hair into the desired shape, add with a hairbrush even more structure and volume into the hairstyle. That’s it. 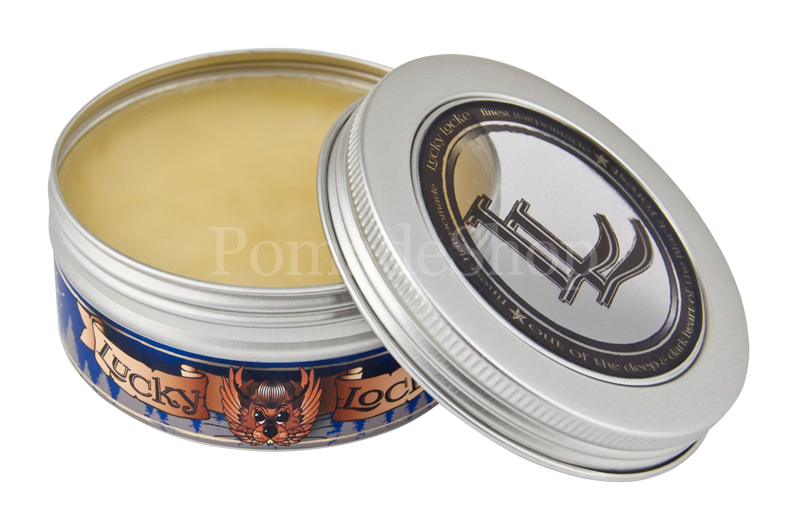 links to "Lucky Locke Authentic Man Blue Label Pomade - Light"
customer reviews on "Lucky Locke Authentic Man Blue Label Pomade - Light"